On Sunday, April 7, Netflix posted an all yellow background to its social media channels with the word “Homecoming” written across it along with a date, April 17. 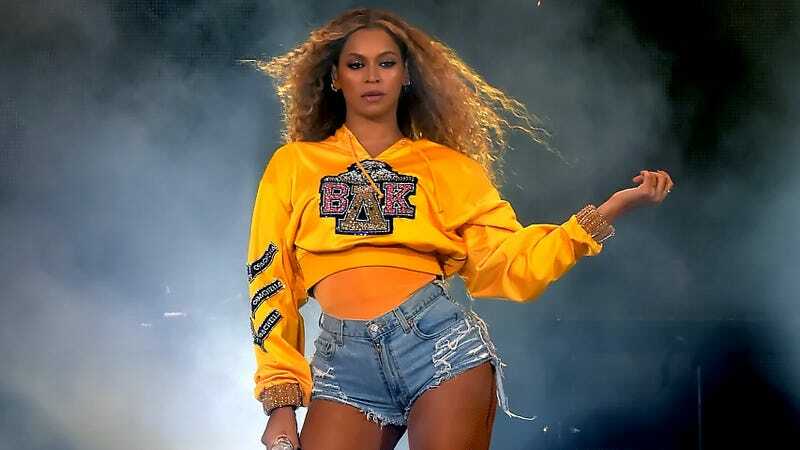 Though that’s all the information we have, the fact that the image is yellow, along with the font Netflix used for the word “Homecoming,” indicates that it will probably be related to Beyoncé now-historic 2018 Coachella performance, since Netflix’s announcement mimics the announcement for that concert and the perfect cropped sweatshirt she wore for the performance. Spin also points out that the Homecoming Scholars Award Program is the name of Beyoncé’s scholarship program. While the safest assumption is that we’re simply going to see the entire show without having to view it through a 21-year-old Instagram celebrity’s offensive headwear at the actual festival, Beyoncé has long taught us to never assume. Be ready for anything.